You can read this post in Kannada here. Not many people know that Tulu language has its own script. 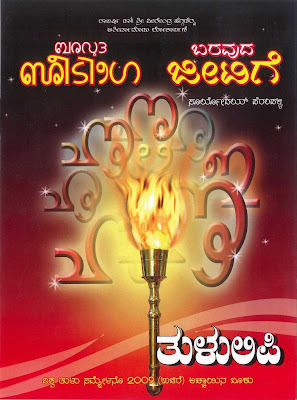 Bhagavato is the first Tulu epic to have been written in Tulu Script. In this epic, Poet Vishnutunga quotes Kannada poets Kumaravyaasa and Chaatu Vithalanaatha. 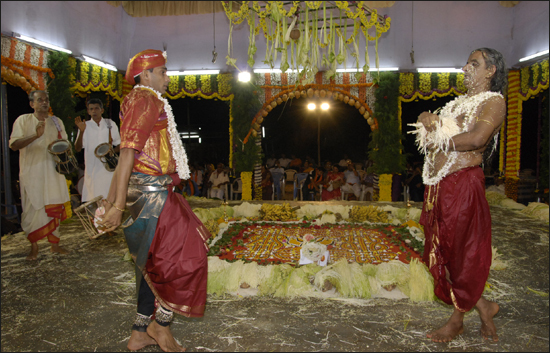 Bhagavato dates back to 1636 A.D. This epic has been preserved in Manuscripts Department of Mangalore University with the efforts of Dr Venkataraja Puninchattaya(Info: Baravuda Jeetige - by Suryoday Perampalli). Kannada actor Suryoday Perampalli has brought out a book of Tulu alphabets. You can see the Tulu alphabets from one of the pages of the book below. On the other hand, National Computer Literacy Committee has come up with Tulu transliteration software - Thwalava 2.0. Key board layout used is the same as the one used for Kannada transliteration software - Nudi. 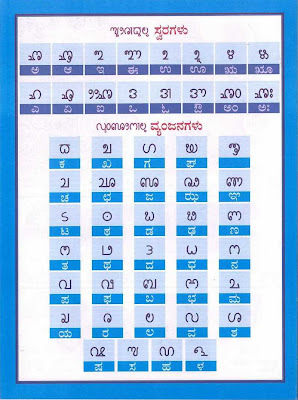 There are 50 alphabets in Tulu language. Demo of the software was done in last year's World Tulu Convention. You can also see the usage of the software in the video below.